Today I was walking with my friends and I’ve seen you in a shop window of a bookstore. I entered and when I saw you in my hands, my eyes turned into two hearts. Now I&apos;m back home and I’m looking at you, I see that all your pages are white without any drawings, illustrations, words…. and I cannot wait to have managed to fill all your pages !!!! Oh, sorry! I have not yet introduced myself! I&apos;m Denise, I’m 14 years old and I live in Cosenza in a big flat in Bruzi Square with my parents and with Angelo and Mattia, my terrible brothers: sometimes I can’t understand them, boys… who can understand the male world?? But I love them and we get along each other after all . My mother&apos;s name is Lara and is a very stern woman, instead my father Salvatore is rather different. But as the saying goes "opposites attract"!We all are tall and slender. I have blue eyes, long, red hair. My skin is very clear with a few freckles on the face. I like to be stylish and I know everything about fashion!! I really enjoy reading and dancing, I do love classical ballet and I also like singing. My best male friend is Francesco, we all call him Ciccio, he plays drums and he is so lively and nice! I have a lot of fun with him. You know, he’s a diary too! To tell the truth, it was him to tell me it’s a good idea to write a personal diary. My best female friend is Chiara, she is a dancer and we’ve been in the same dance class in our ballet school for 8 years. Now I have to go, I’ll write you again as soon as possible. At last it snowed !!!!! This morning I’ve looked out the window and I’ve seen all white, so beautiful! It snowed a lot during the night, I still cannot believe it, here it doesn’t snow very often and when it happens, the snow doesn’t last much. But for one or 2 days schools are closed because in our city we aren’t used to the snow and Cosenza is paralyzed when it snows a lot (when we are lucky and it snows highly, they are closed for some days more). I’ve dressed myself with heavier clothes than usual, I have had breakfast and soon I’ve rushed out with Clare who lives in the flat above ours. We were euphoric and immediately we’ve begun to hurl snowballs and build snowmen . After quite a bit of time spent playing, my mom called me: it was already lunch time. But before coming back home, I picked up in a bowl some snow: we eat the snow with the fig honey, a syrup made with boiled figs: trust me, it’s delicious! The name of this special ‘ice cream’, very ancient and typical of our region, is ‘Scirubbetta’ that comes from Arabic and means syrup. This day has passed very quickly. Now it is evening and I hope with all my heart that the snow will resist until tomorrow and that it continues to snow, so I‘ll be able to skip another day of school !!!! ;-) I&apos;ve just watched a very beautiful video of our city with the snow: have a look!! Two days of snow!! Wow! I enjoyed a lot these days, I walked with my friends through the streets of the city, it was marvellous to see it all white! Chiara and I admired the statues of the MAB - the open air museum of Cosenza – covered with the snow, they looked so strange! We took lots of photos. Someone made so artistic and beautiful temporary statues with the snow, a lady, a man seated on a bench, a wolf (you know, the wolf lives in Sila, our mountains and this animal is a symbol of our city and of our fotoball team. Unfortunately, during yesterday in the afternoon the snow began to melt and so today, even if reluctantly, I have had to go to school L the positive note , however, is that also the ballet school has re-opened again !!! Today we’ve tried to do the grand jete, I must say that I did it just fine, my teacher told me so! it is a bit &apos; since I last wrote to you , but it has not happened anything interesting, to say the truth even today it hasn’t happened anything new but I wanted to write you also because after all it’s been a beautiful day. 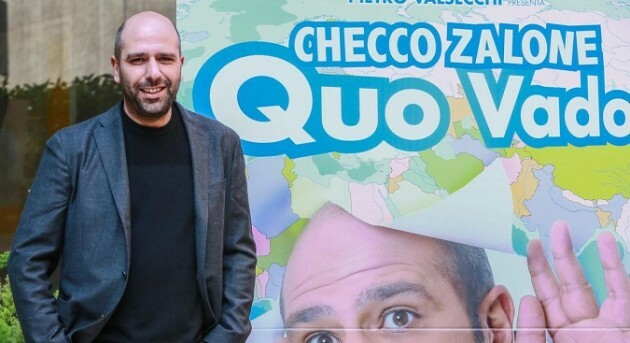 This afternoon I have gone out with Chiara and Anna, we went to the cinema and watched a funny movie together, "Quo vado" with and by one of our favourite comic actors: Checco Zalone, here in Italy he is very popular, his films are blockbuster. After the movie we went to the bookstore where, however, I have not found anything new , also because I was already there just few days ago and I took a book , titled Shadowhunters and I must say, if I judge from the few pages I&apos;ve read, it is not bad at all ! After that, we went to a pizzeria and we ate a margherita pizza each! I got home around 10 and I immediately catapulted here to write you my day . Today I’m really euphoric because at ballet school we have rehearsed the new show we’ll do at theatre next Spring. We worked a lot and now I’m really tired, I also hurt my feet, but that’s ok, nothing will be able to ‘hurt’ my enthusiasm!! I was looking forward to coming to write you to tell you about this , unfortunately mother can not understand my enthusiasm and when I told her about the dance lesson she has liquidated it quickly …. I don’t want to think about it now. I’m looking forward to going to seaside tomorrow, my parents have just decided to go there . 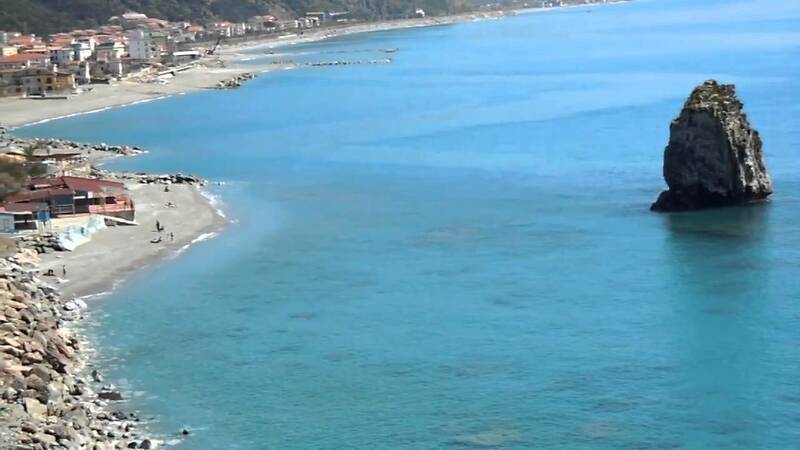 Did I tell you that my family has a house near the beach in Guardia, a little seaside town on the Tyrrhenian coast ? It’s a lovely place, we are used to spending our Summer holidays there. I love staying there because I’m really fond of swimming and I like the sea very much. We also have a garden there, I love it, it’s my secret place where I can read alone. Today I would have liked to go to the beach with Chiara: she came to the seaside with us yesterday and I we are all in my sea house but… It’s raining cats and dogs!!! Surely there will be a lake in the streets of Cosenza now…. Now we are going to spending our day here inside house… The good thing is that we can open the windows and breath the wonderful smell of the sea, we love it!! My brothers are playing at playstation as ever. Chiara and me have just decided to stay on sofa with our books: we both love reading. But after we’ll rehearse some steps of the choreography of our show. You know I love singing and many people tell me I have a very beautiful voice… Great news!!! Ciccio, my best friend, and Gino are making a band, they play at Ciccio’s home, in his room (poor his grandparents! He plays the drums!! Gino plays the electric guitar) and, guess, they asked me if I want be their singer!! Obviously yes!! I’m just going to Ciccio’s for our first rehearsal. I’m so excited!! They told me I’ll have a microphone, it’s the first time for me, I’ve never heard my voice through an amplifier, wow! We took this picture all together, do you like it?? I have other great news. Are you ready??? I&apos;M GOING TO GO TO POLAND IN APRIL!!!! YES, for an exchange programme organized by my school. I&apos;ll stay at my peer&apos;s house, his name is Janek. We are keeping in touch by mail and on fb. I&apos;m looking forward to leaving and meeting him!!! He has lots of things incommon with Ciccio, so I&apos;m sure we&apos;ll get along. Today Janek took me to the fencing training. Adam- Janek’s friend, showed me his fencing uniform. I was training with their trainer, his name is Wojtek. After 30 minutes I fought with Adam and I lost 4-0 but I&apos;m not a surrender!!! Next fight with Antek I lost only 4-2, it&apos;s a progress! I couldn’t believe it, I won with Silesian champion 4-3! I think I must train fencing when I come back to Italy. My next fights ended with the scores 4-2, 4-3, 4-0. I won!!! It&apos;s a good day. I think fencing is a fascinating sport! Today, Janek decided to show me city. Rybnik is really very nice. The first point of our trip was a square named after the pope John Paul II in front of Basilica of St. Anthony. At the centre of this picturesque place there is a beautiful fountain. Of course, I couldn&apos;t help myself to look inside. This wonderful, built in the Gothic style shrine made a really great impression on me. Continuing the tour, we went down the promenade. Very beautiful buildings caught my attention. They looked very picturesque. Finally, we came to the Freedom Square. Here, what caught my eye the most was greenery surrounding this place. Then I couldn&apos;t help myself to do some small shopping. Immediately, we went to Rybnik&apos;s shopping mall "Focus". When we returned home, I don&apos;t know even when I fell asleep. When I woke up next day Janek told me that we are invited to the celebration of the First Holy Communion. This is the day in which children in 2nd grade elementary school for the first time get holy wafer. We had a picture with his cousin – Kamila. She looked so gorgeous in her white dress and wreath! After the ceremony in church we moved to the restaurant for dinner with Kamila and the rest of her family. She got a lot of gifts from guests. I gave her flowers and chocolates. I ate a lot of delicious food there. I think that I put some on weight. I made friends with Kamila and her older sister. I think that when I come back home, I’ll write to them. This was a really great day and a new experience for me. I was so tired when we got back home so I just took a shower and fell asleep. I really like Poland. Today I went shopping with Janek. We bought some sweets and clothes. After an hour we went to Janek’s cousin. We talked to him and drank tea. Janek’s cousin is very funny and nice! Then we went cycling. It was great fun. When we arrived home Janek’s mother she offered us a delicious hot apple pie with ice cream. When we ate we went for a walk to the park. It was really beautiful! Along the way Janek showed me where his friends live and he said they would certainly want to get to know me. In the evening we had a barbecue party. We talked and ate delicious sausages. Then we all went to bed tired. This was a very nice day. Dear Diary, Today Janek took me to the playground to play football. We dressed in football uniforms, chose teams and we started the match. My team won 3:1. We came back home satisfied. On the way back we talked about who the best football player is . He thinks that the best is Lewandowski.